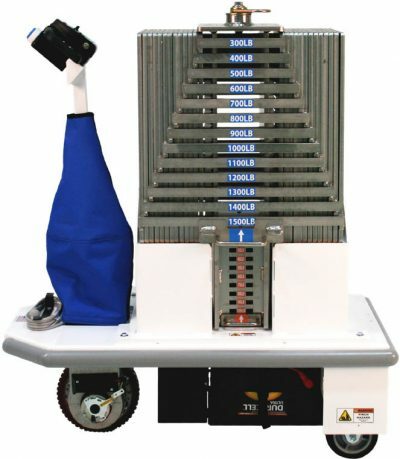 The Ergo-Express® Motorized Ceiling Lift Load Test Cart is used to safely transport weights for load testing ceiling lifts. Weights can be selected for standard or bariatric lifts from 200lbs. to 1,600lbs. all with one cart. It offers an immediate return on investment allowing one staff member to perform a task that previously took two to three. With the option of testing different weights all on one cart, you eliminate the need for multiple staff to complete one test. Increase employee morale simply because staff will no longer return home tired and sore. KARIS is the Canadian Distributor of PHS West, Inc. products.